Hideaway Solutions is a company driven by the common need to access all areas of a home. Step 180 is an integrated cabinet step unit. The product is designed to provide quick and easy accessibility for hard to reach upper cabinets and shelves as well as allowing children more opportunities to thrive in the kitchen. With Step 180 children can safely use kitchen and bathroom sinks and countertops with ease. The integrated step unit delivers safe, convenient and fast access where you need it most. Wickford Kitchen and Bath, Inc.
Wickford Kitchen and Bath is a retail kitchen and bath showroom conveniently located outside of Wickford Village on Post Road in North Kingstown. We offer a wide variety products; ranging from custom, semi-custom and production-line cabinetry, multiple options for counter-tops as well as top of the line cabinet hardware. We carefully select the finest products that provide the best possible value without sacrificing quality at each price point. This process has made it possible for our custom kitchen and bath cabinetry, counter-tops and hardware to meet all types of budgets. Our main goal is to provide superior products along with exceptional customer service. We welcome you to come visit our 2,000 square foot showroom to begin visualizing what your new space could be. 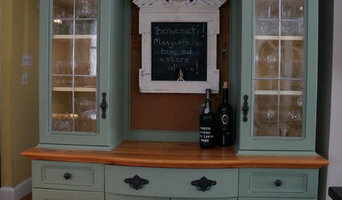 Middlesex County's Custom Cabinetry Best of Houzz 2014-2018! We are so happy you are here. 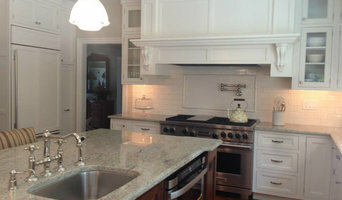 We are a family owned CT & RI based Remodeling & Design Team. Full service from Construction to realization of your perfect Dream Home. Mark Moore is the Aussie behind it all. The Man with a plan (and a hammer) to make all of your dreams a reality. With over 35 years of experience renovating, remodeling and constructing dream homes both for the who's who of Greenwich CT, Australia and Moore House boutique guest Cottages. Mark has been featured in numerous Architectural Digest. From Australia to Connecticut, Mark focuses on Renovating, Rebuilding & Restoring homes for clients all over the greater New England area. 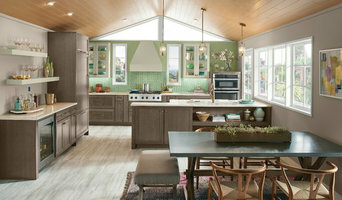 Free Consultation for Houzz Users! Concord Cabinetry is a family owned and operated residential home remodeling and design company with more than 35 years’ experience. Concord Cabinetry prides itself on customer service, collaboration, communication and quality and offers a one-stop shopping experience for clients. C&M Woodworking offers fine cabinetry and architectural millwork, award-winning craftsmanship and comprehensive project management. We work in a wide range of styles and materials, from traditional to modern, from local reclaimed barn board to teak and African mahogany. Focused on storage solutions and maximizing your space in today's fast paced world, we design and build individualized custom cabinetry and kitchens. For many reasons the world of furniture has drastically changed in the last 50 years, not just styles, but essential construction. Large production increasingly imposes limits on sizing and details but most importantly on quality. Custom-building is an unknown option for many people but one of the best markets today for durable quality that is also personal and reasonably priced. A good custom builder is just as curious about you and what you really want as about his/her own processes. We aim to have more than a business transaction with you because furniture is quite personal; sharing your life. We select local hardwoods from our limited supply for our custom furniture. We drive to farms about monthly to pick out slabs best suited to most of our projects. By planning wood slabs, we can show clients so they can gauge the actual characters and tones of their custom piece. Let us know if we can create a custom piece for you! 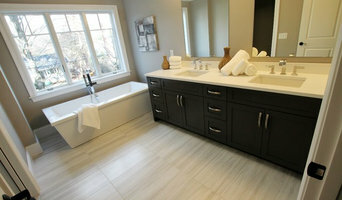 NEHC specializes in kitchen and bath cabinetry for new construction or remodel.